Goldwell has launched the new Iconic Brunette Collection taking brunette hair looks to the next level of shine and fashion. 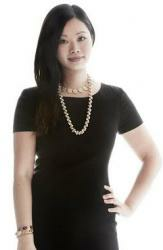 Salon clients can choose from four new Iconic Brunette looks that convert hair color into a statement. 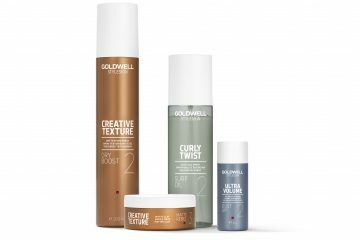 In addition to six new Topchic Elumenated Brunette shades, two new volumising products from Goldwell’s styling portfolio StyleSign complete the new service collection. Strong colors for strong creations – six new Topchic Elumenated Brunette Shades revive the Topchic brown color palette with a diverse color spectrum that incorporates cool, natural and warm brown tones. Whether it’s about enhancing natural beauty or revealing facets below the surface – stylists are able to turn brown-haired clients into iconic brunettes by expressing their individual personalities. “Thanks to the new Elumenated Brunette Shades I’m able to emphasize the true beauty of my brunette clients,“ states Lindie Blackwell Master Artist, Canada. The basis for the brilliant color results of the six new Topchic shades is the unique @Elumenated Technology. This combines the benefits of oxidative hair color with the luminosity of Elumen for outstanding multidimensional reflections and up to 100% reliable grey coverage. A strong cut, color and style give confidence and reveal the most powerful self. The deep chocolate palette melting into rich mahogany reflects creates strength and definition. Subtle tone-on-tone shades keep it simple and pure. Blended warm and cool brunette tones create soft yet rich natural reflections. The infusion of lighter tones into a rich base enchanting her surroundings. Melted tones of muted caramel and warm maple create sensual movement and leave a multi-dimensional impression. the interior creating a sense of dimension. protection for long-lasting, beautiful color results thanks to the flexPROtec complex. 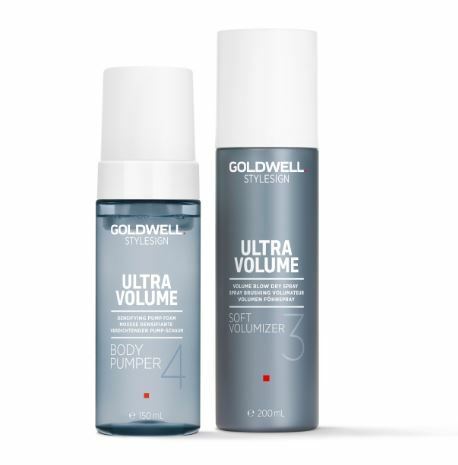 A densifying Pump Foam, which gives fine and thinning, short to shoulder-length hair twice as much body and a massive volume boost for a “more hair” feel. A Volume Blow-Dry Spray with the hold of a volume mousse, which gives fine to normal hair natural volume and long-lasting shape. “The new StyleSign products are the perfect choice to realize stunning Iconic Brunette looks. Multidimensional color effects are underlined by voluminous shape and result in a harmonious interplay,“ says Daniel Martin, Goldwell Global Styling Ambassador. Available from April 2018 at selected Goldwell salons.